We’re excited to announce that Oktopost has been ranked number 4 for Social Media Marketing as well as Content Marketing platform by users on GetApp, the most trusted review site for business softwares. The rankings were out of 25 solutions and are based on five unique factors, worth 20 points each, for a total possible score out of 100. These factors include user reviews, data security, integrations, mobile app availability, and market presence. In addition, they serve as a point of reference for small businesses and enterprises that are trying to evaluate a piece of software. Many of the user reviews highlight how our platform’s ease-of-use, in-depth analytics, and integration capabilities allow B2B marketers to manage, amplify, and measure ,their social media activities. We accept this accomplishment as an indication of Oktopost’s popularity and broad adoption amongst mid-market and enterprise B2B companies, including Fujitsu, Atos, Act-On, Panasonic, ClickSoftware, Plante Moran, and many others. Marketers love using Oktopost because it is the only social media marketing platform designed with the specific needs of B2B in mind – tracking every social lead they generate and understanding which networks, profiles, and posts are most effective in driving engagement and conversions. And to top it off, all of this social data can be seamlessly synced with their most popular marketing automation platforms and the rest of their marketing ecosystem. 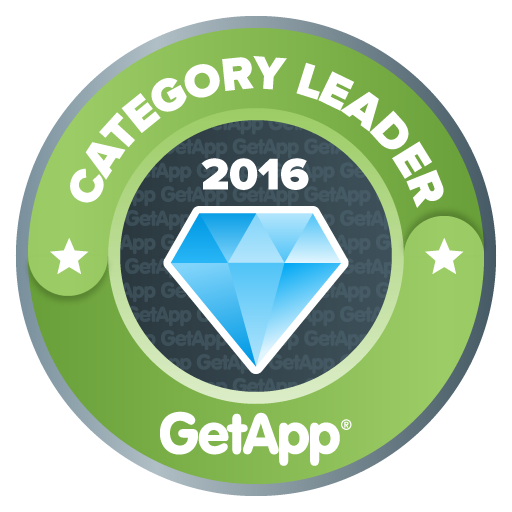 Oktopost was also announced as the number one Social Media Marketing software in GetApp’s ‘2016 SaaS Summer Games’! 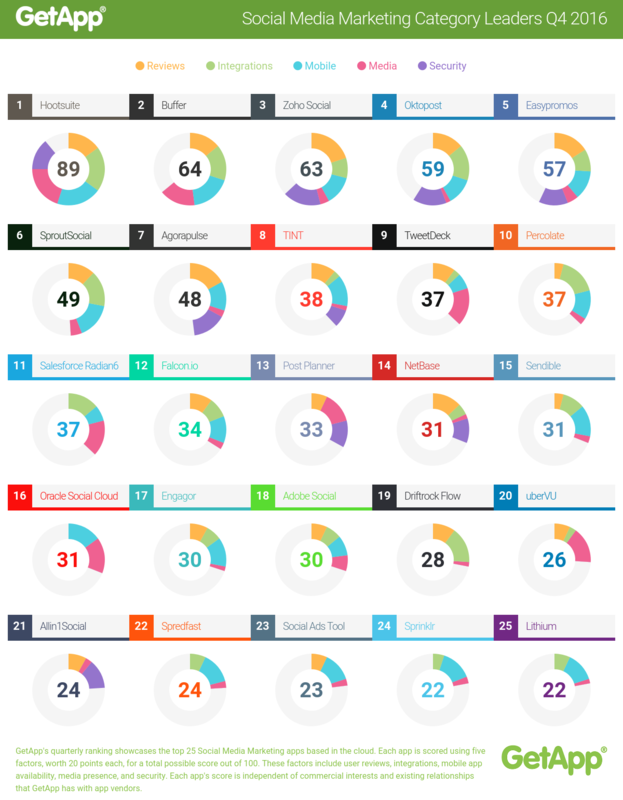 This competition pitted the top SaaS companies against each other, to discover the most popular software. You can read more Oktopost user reviews here. 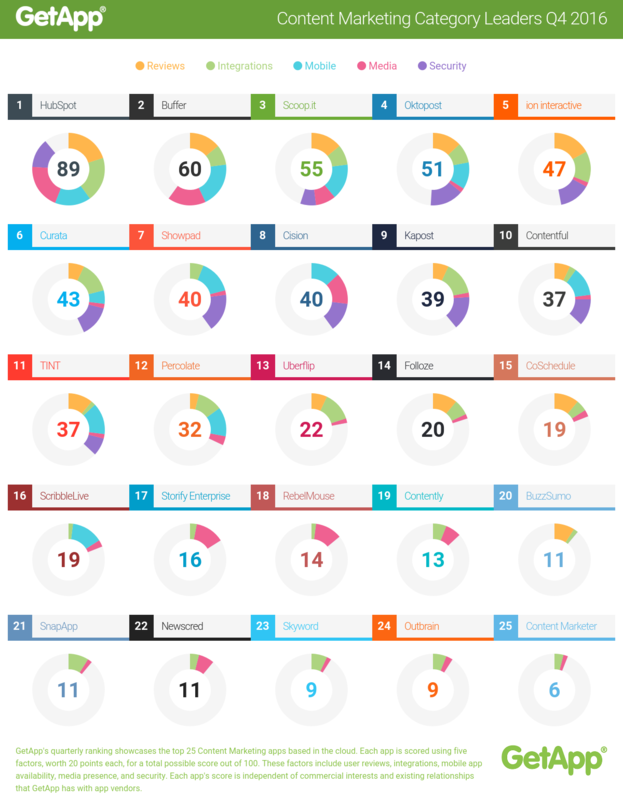 You can also view GetApp’s quarterly ranking below, which showcase the top 25 softwares for each category: social media marketing and content marketing.